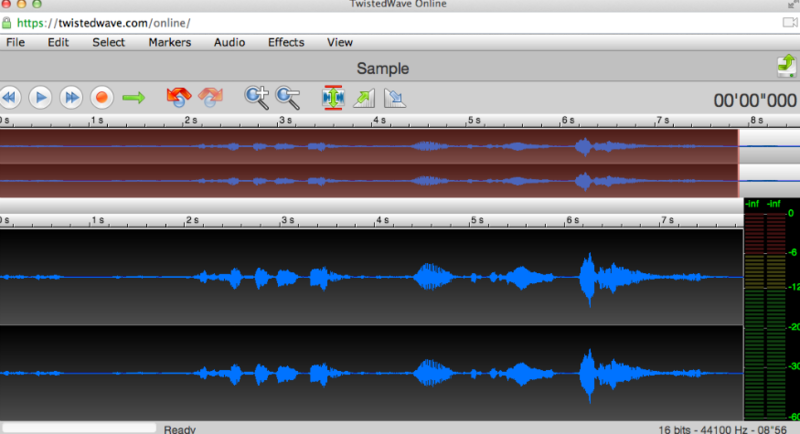 TwistedWave is a new online audio recording and editing tool that allows you to create and edit audio recordings right in your computer's browser. No software installation is necessary. You simply go to the website and start recording your segment. Once you have a completed track it can be exported to Google Drive and/or SoundCloud. If you have existing audio tracks already residing in your SoundCloud or Google Drive account you can import the files into TwistedWave to edit those audio tracks. TwistedWave's audio editing tools include options for fade-in, fade-out, looping, sound normalization, and pitch adjustments. Once you sign up for a free TwistedWave account you will be able to create and/or edit a track of more than thirty seconds in length. This cloud based application is similar to Audacity (although not as robust), and looks as if it might be a great solution for those of us that are heavy Chromebook users.